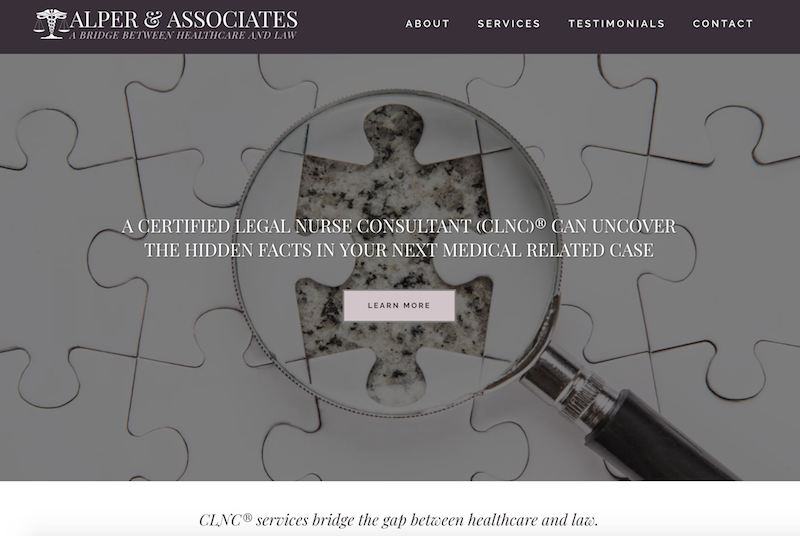 Alper & Associates, Inc. provides CLNC® services that bridge the gap between healthcare and law. This website is built for legal teams looking to learn about how the medical expertise of a certified legal nurse consultant can help strengthen a medical case. We provided a full range of custom WordPress services, based on a pre-built template as well as a custom logo.